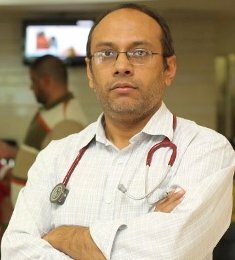 Dr. Dharma Choudhary is one Top doctor for Adult bone marrow transplant in India. With a rich experience of over 20 years, Dr. Dharma has done more than 500 Bone Marrow Transplants with an excellent success rate, making him one of the most popular haematologist in India. He has been trained at top healthcare Institutions in India and outside India. 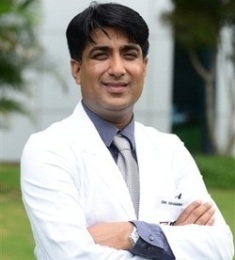 Dr. Dharma is well recognised and appreciated for his participation in the field of haematology in India, Hehas also been awarded by various International health Agencies for his wonderful success rate in Stem Cell Transplantation. During his time at Sir Ganga Ram Hospital, Dr. Choudhary started Allogenic Bone Marrow Transplant for Thalassaemia &Aplastic anaemia. He is successfully delivering his duties in treating patients suffering from different types of blood cancers. -DM (Haematology) from AIIMS, New Delhi. Feel Free to share Your Concerns with Dr. Dharma Choudhary, Email us at care(at)ghnservices.com, You may also choose to Call or WhatsApp +91 9818857545 for any help and assistance. We Shall be happy to help you.